UPDATE: SEPTA has restored service on the Media-Elwyn Line, but riders should expect delays. 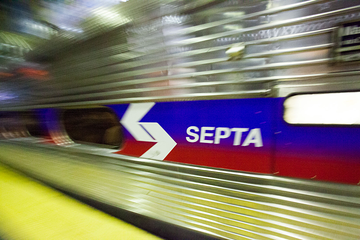 Service has been suspended along one of SEPTA's Regional Rail lines due to a fatality. The transit agency announced Wednesday around 4:41 p.m. that Media-Elwyn service was suspended along the entire line. A short time later, SEPTA officials confirmed that a person was killed at Angora Station located in Southwest Philadelphia. Elwyn: Service is suspended temporarily due to a fatality. We will provide updates as they become available. At 5:10 p.m., outbound service has resumed. However, inbound service is still not operating due to a police investigation.